Curtain wall systems clad a building envelope with glass and aluminum to protect the interior from the elements, creating a safe and comfortable work environment for the building occupants. Designed to carry their own weight, the walls transfer wind loads to the main building structure at connection points in the floors or columns of the building. 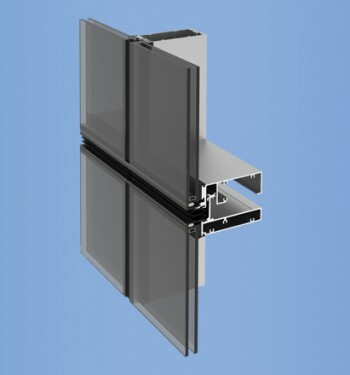 Curtain wall systems may span from floor to floor, used in punched opening applications, or span multiple floors. The unique YKK AP enerGfacade® product line provides both ecologically sustainable and economically sensible solutions for the entire building envelope. By offering superior insulation properties in a complete suite of thermally broken products, enerGfacade® simplifies your search for the right products to meet your goals. Upgrading a building’s framing system first can be the most cost effective option for gaining LEED®certification and exercising environmental intelligence. 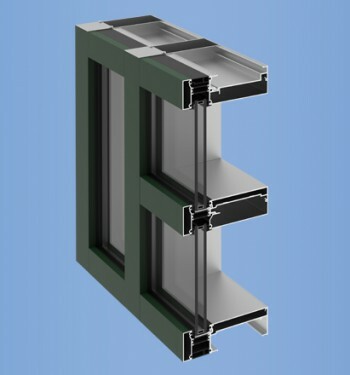 Our curtain wall systems are available with inside, outside or structurally glazed options. Optional face covers expand design flexibility. ThermaShade®– Manufactured to improve comfort and lower energy consumption, designers now have a thermal solution that does not sacrifice building appearance. Luminescence®– Constructed from high quality aluminum extrusions and honeycomb core panel, this light-reflecting surface yields a penetrating, diffused light that provides a complete sun-control solution. In addition, products featuring an XT designation are the highest performing aluminum fenestration systems in the market. Combined with the efficiency of the enerGfacade® system, our XT series offers a level of energy savings far beyond the industry’s best performance standards. Thermally broken systems can greatly increase energy efficiency. YKK AP offers two unique thermally broken systems. MegaTherm®– This aluminum framing system offers unmatched performance and durability. Reducing condensation and saving energy, this system provides a less costly finish without sacrificing quality. 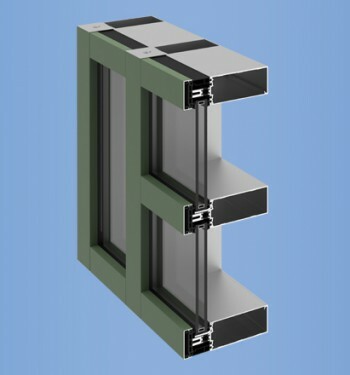 ThermaBond Plus®– Combining science and technology, this aluminum fenestration system resolves adhesion problems within a building structure and enhances overall performance and durability of any project. 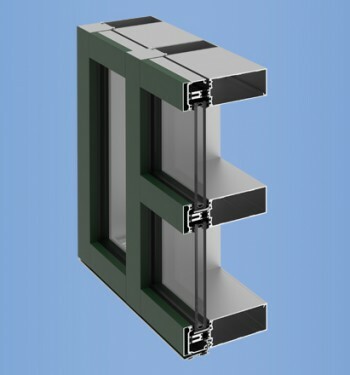 YCW 750 XT IG is an inside glazed curtain wall system that yields best-in-class thermal performance and exceeds, not only current codes, but also exceeds the most stringent green building codes and standards in the industry today. YCW 750 XTP yields best-in-class thermal performance and features polyamide struts. This system exceeds not only current codes, but also exceeds the most stringent green building codes and standards in the market today.